Although it is small, Madeira is rich in majestic scenery and rare beauty. Come and explore the charms and delights that Madeira has to offer. Discovered by the Portuguese in 1418, Madeira, Porto Santo and the inhabited Selvagens and Desertas Islands make up the Madeira Archipelago. Located in the Atlantic Ocean, the archipelago of Madeira is 1000 km from mainland Europe and just 500 km from the coast of Africa. It’s only a 1,5 hours flight from Lisbon and 3,5 hours from London. The total area of Madeira is 741 km2, and is 57 km in lengths and 22 km in width.. Due to the geographical location, Madeira offers a fantastic weather throughout the year. The average temperature in the summer is 25c and in the winter 17c. The sea temperature is also very warm, thanks to the influence of the warm Gulf Stream, averaging 22c in the summer and in the winter 18c. 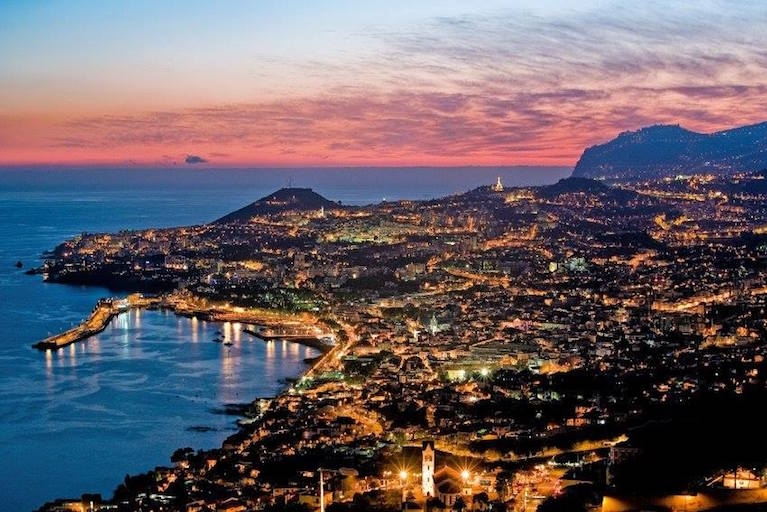 In addition to its mild climate all year around, Madeira also offers a stunning scenery everywhere you go, from its mountains to its cosmopolitan city centre of Funchal. 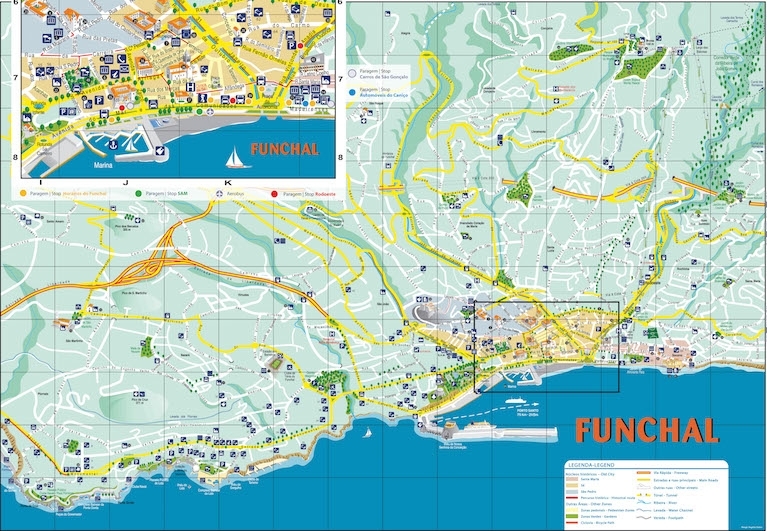 Funchal is the capital city of the archipelago and it was erected as a city in 1508. 500 years old Funchal is now he main center for trade, tourism and culture. Explore this traditional but cosmopolitan city, stroll through its charming streets lined with typical Madeiran Houses. Funchal offers a wide selection of museums, art galleries and monuments not to be missed in your visit to Madeira. Take a walk on the promenade in Funchal, which will lead you to the marina where you can watch the cruise ships that stops over in Funchal from all over the world. Funchal was granted city status in 1508, 83 years later after its discovery in 1425. With more that 500 years old, the historical buildings are still intact, despite earthquake, fire and piracy. Named Funchal “fennel” because of the fennel plants found growing in abundance by the first settlers. Madeira’s capital, Funchal, is located in the south coast in a Amphitheatre, surrounded by the cliffs to the east and west and by its green mountains to the north. The streets in the city center are paved with black and white Portuguese mosaics, called Calçada Portuguesa. In Funchal you can find many parks and gardens which make this a festive city of strong scents and colours, where nature and architecture are combined in a amusingly way. In order to help you plan your holiday to Madeira, we have gathered some essential information that will help you help you make the most of your trip to Madeira. Click here for our essential guide to Madeira. There are so many things to do in Madeira, it is tough to know what to do first! MadeiraTop10,com has everything you need to plan what to do in Madeira. Click in one of the below activities for more information.